A stylish English Tudor Manor house in the heart of Hamilton, offering a solar heated pool, spa, refurbished throughout with modern granite bench kitchen, flat screen and home theatre surround sound, and all the mod cons, set in charming English cottage gardens. Linen and towels supplied to meet all your needs for a luxury stay. Your rate includes cleaning upon departure. 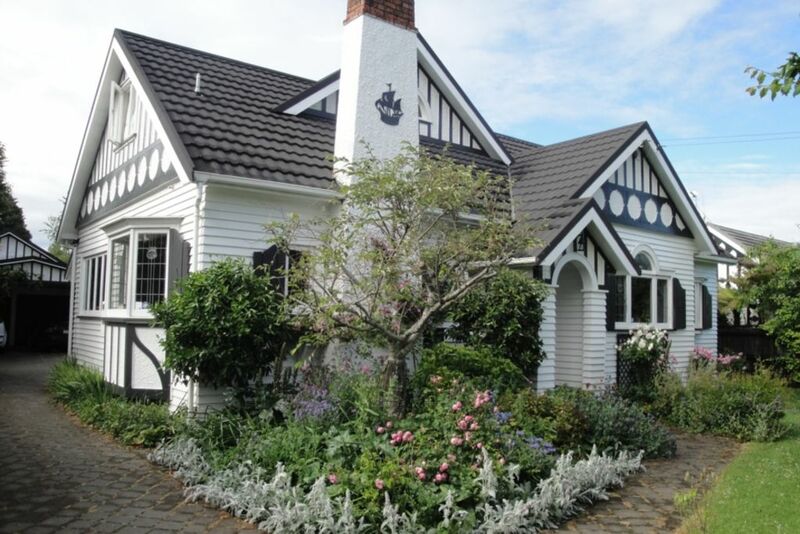 Ideal for a family seeking a home away from home for any special occasion in the heart of the Waikato. Minimum 2 nights stay unless a surcharge of $100 is accepted. A solar heated pool, spa, set in cottage gardens. Lovely spacious home,great location & nice & private. Very enjoyable stay with lots of room in the house to spread out. Our family loved having the pool to cool off in the 30 degree heat. Very relaxing, private property. You are welcome, glad you enjoyed your stay. Spacious place for a group or family, private, well appointed & maintained. The so a was a bonus on a cold winter's evening & the very private pool will be great during summer. Amazingly beautiful and spacious accomodation. Amazingly beautiful and spacious accomodation. Well looked after and was great for our large get togethers as we were there for a wedding. Would definitely book it again. English Tudor is a very large house and would suit a family or a group of friends staying together. English Tudor is a very large house and would suit a family or a group of friends staying together. Well appointed kitchen and great bathroom, easy for people sharing, plenty of room and good water pressure in shower. Overall an enjoyable experience.